Here we are in preparation for our concert at the George Jenkins theatre on Sunday 19th October 2014. We presented an afternoon of 4 part harmony songs woven around a story of romance, supported by local artists. 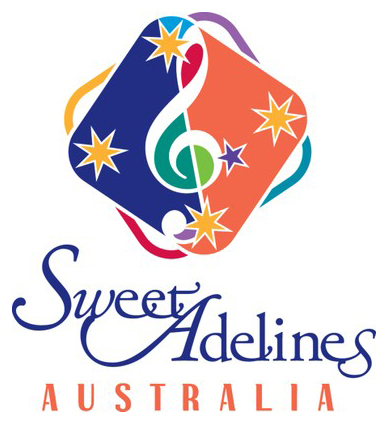 Songs includes My Foolish Heart, I Can't Give You Anything but Love, I Still Call Australia Home, ABBA's Gimme Gimme Gimme and Money Money Money. This year we will be performing at the Mornington Peninsula Choral Festival, Toorak College in Mt. Eliza on Thursday 28th May. Come along to see us perform with other community, junior and senior choruses - 7pm in the Mary Herring Hall. Go to mpchoralfestival.com.au for more details.